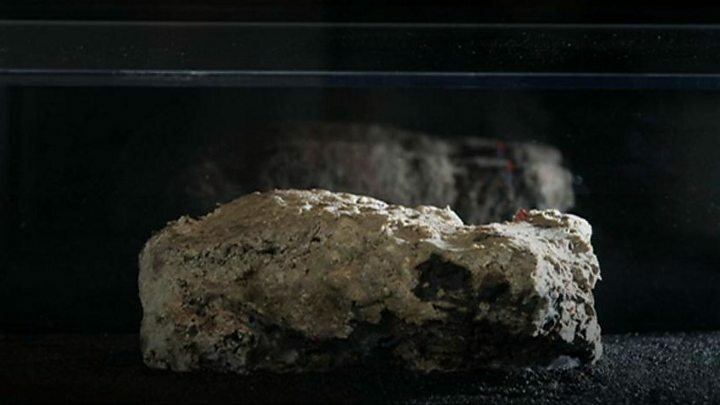 The last remaining chunk of a toxic "monster" fatberg found in London's sewers has been unveiled at a museum. Once weighing 130 tonnes and stretching more than 250m, the mass of congealed fat, wet wipes, nappies, oil and condoms has been conserved by the Museum of London and industry experts. Thames Water is using the launch to warn against the rise of fatbergs, which "smell like rotting meat mixed with the odour of a smelly toilet". The display will run until 1 July. Open to the public from Friday, the Fatberg! exhibition will tell the story of the nine-week battle to remove the massive blockage and its journey from the Victorian sewers in Whitechapel to the sealed display case it now rests in. Visitors can learn about how scientists analysed the "rock hard" fatberg in order to conserve the sample. A hazmat suit and equipment used by Thames Water sewer workers will also be on show. "It's important that we display things that reflect the highs and lows of living in the city," curator Vyki Sparkes said. 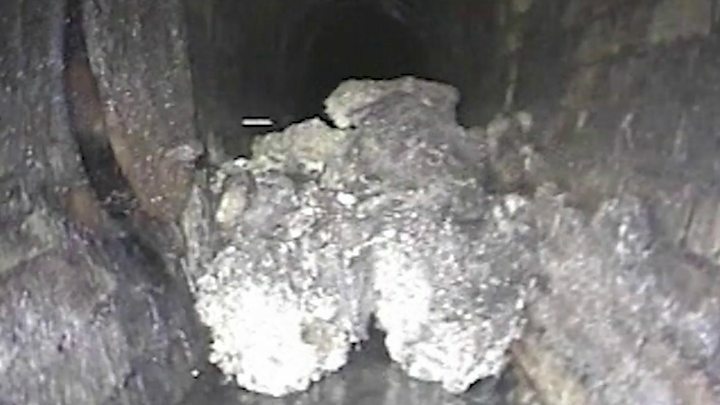 "Fatbergs are disgusting, fascinating things which mark a particular moment in London's history, created by people and businesses who discard rubbish and fat which London's Victorian sewer system was never designed to cope with." Thames Water's Becky Trotman added: "This display is a vivid reminder to us all that out of sight is not gone forever, so please help keep London and all the sewers flowing - don't feed the fatberg."